Everything about healthcare seems to be getting more expensive every day. Drug prices have risen so quickly that it's become a hot political issue. 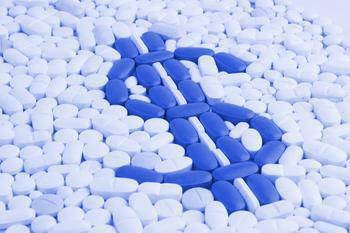 Lawmakers on both side of the aisle have been quick to criticize drug companies for big price increases. Heath insurance, which is what most consumers use to pay for healthcare, also costs more. Even Obamacare premiums have surged in the last year. Why is getting treated for a health condition, minor or serious, so expensive? Two numbers may hold a clue. In 1960, total healthcare spending, covering things like drugs, hospital visits and doctors' appointments, made up just 5% of America's Gross Domestic Product (GDP). That suggests consumers were spending their money on other things besides healthcare. Hospitals, which were Spartan, utilitarian facilities in 1960, inexpensive to build and maintain, had become multi-million dollar palaces by 2013, with plush accommodations, the latest equipment, and large staffs. A report prepared for the Centers for Medicare and Medicaid Services (CMS) found that from 1960 through 2013, health spending rose from $147 per person to $9,255 per person. That averages out to an increase of 8.1% per year. “In comparison, per capita adjusted personal income was $2,267 in 1960, and in 2013 it reached $42,266, reflecting an average annual growth rate of 5.7%,” the authors wrote. Today, households spend a greater percentage of their incomes on healthcare than they did 57 years ago. But expensive hospitals are not the only reason healthcare expenses have outpaced the inflation rate. David Cutlar, a Harvard health economist, says the structure of the healthcare system has drastically changed since 1960. In an interview with PBS, Cutlar says healthcare now has a huge administrative overhead contributing to the cost. He says about one-quarter of healthcare costs cover administrative tasks, not medicine. “What a lot of those people are doing is they are figuring out how to bill different insurers for different systems, figuring out how to collect money from people, all of that sort of stuff,” Cutlar said. Cutlar says the U.S. healthcare system pays a lot more for things like drugs than systems in other countries do. He also says Americans tend to get more extensive treatment than patients in other countries for the same injury or condition. Is there any way to reduce costs? Expensive hospitals aren't going to go down in price, but if less palatial facilities are built in the future, it might be a start. Cutlar says the step that might yield the most immediate results is to eliminate tests and procedures that aren't necessary. But since providers make a profit on these procedures and many patients pass the costs on to their health insurance providers, there may be little incentive to take that step. Cost of treating neurological diseases exceeds $800 billion annually in U.S.